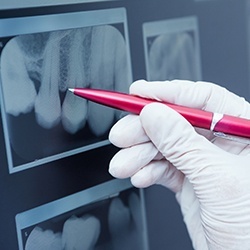 Dental emergencies never seem to come at a time that is convenient for patients and families. If you or a loved one is struggling with alarming dental trauma, Dr. Boehmer welcomes your call here in Albuquerque, NM. She strives to accommodate urgent situations as soon as possible – you will never have to worry about being made to wait in vain for days or weeks at a time. Our team members can also provide first-aid guidance over the phone as needed if you’re unable to reach our practice for some time. Contact us today! Have you fractured, dislodged, or even knocked out a natural tooth? These frightening accidents can happen in the blink of an eye, and often when patients and families are least expecting them. As a first step, please do your best to remain calm. Then, pick up the phone and contact our Albuquerque practice for further guidance. 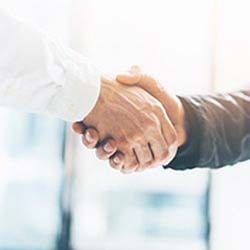 Several high-quality restorative solutions are available at our practice, but we will start by eliminating the discomfort and stabilizing your condition so that you can return to your regular routine as soon as possible. Are you experiencing a great deal of pain or sensitivity in a specific area of the mouth? While these symptoms can sometimes be caused by a lodged piece of food/debris, the much more likely explanation is the presence of an advanced infection. Contact Dr. Boehmer’s office immediately to schedule a visit – the sooner we can assess your teeth and determine the scope of the damage, the better chances are that it can be preserved. 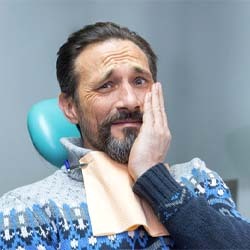 In the meantime, it is safe to take painkillers like Aspirin, but do not place the medication directly on the tooth surface or gum tissue, as this may cause additional discomfort. When it comes to credentials and clinical training, Dr. Boehmer’s dedication is truly second to none in the greater Albuquerque community. She has completed over 1,000 hours of continuing education in advanced services, including time spent at the prestigious Las Vegas Institute and with SPEAR Education. She is also a Fellow in the Academy of General Dentistry, which is an accolade that only around 7% of general dentists in the world achieve over the course of their careers. She will address your dental emergency situation from an angle of true expertise, relieving pain and revitalizing teeth with plenty of meticulous attention to detail. 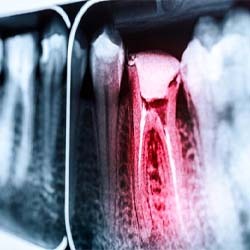 Root canals are often thought of as unnecessarily invasive and uncomfortable, but this procedure’s unfair reputation isn’t based in truth. With the help of today’s modern tools and techniques, most patients compare the experience to receiving a simple filling! More importantly, root canal therapy can actually restore the health of badly infected teeth and help them remain a strong and confident part of your smile for many more years to come.